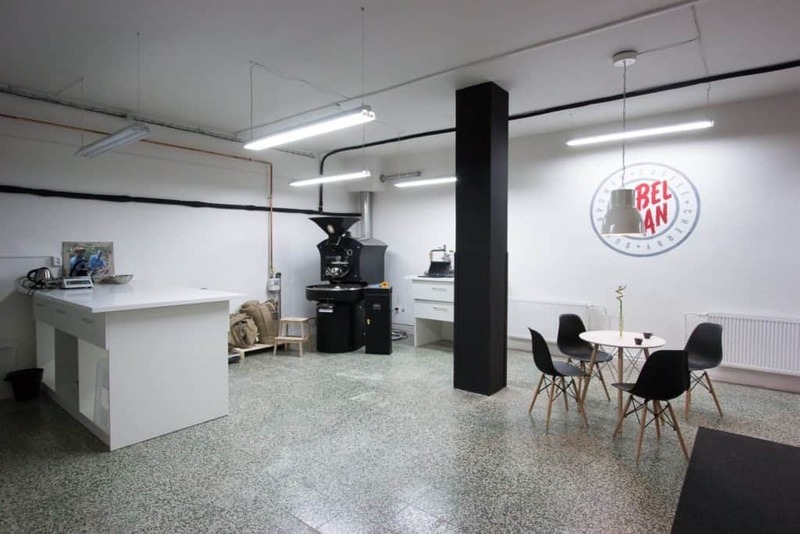 Rebelbean is a roastery run by two friends, Michal Stec and Jan Spalek, who started their roasting business with a passion for coffee and a clear vision of what they wanted to do. They are Rebels. And they are also the Roaster of the month of April. We salute to Rebelbean’s growth and are excited to tell you more about their story. Roaster of the Month is our series featuring European coffee roasters that we admire and whose work we are proud to share with our readers. We invite you to discover a new roaster every month with us! A great example of a team with a strong idea and passion, Rebelbean was launched with a low capital and is an achievement of hard work and ‘doing it your own way’ attitude. 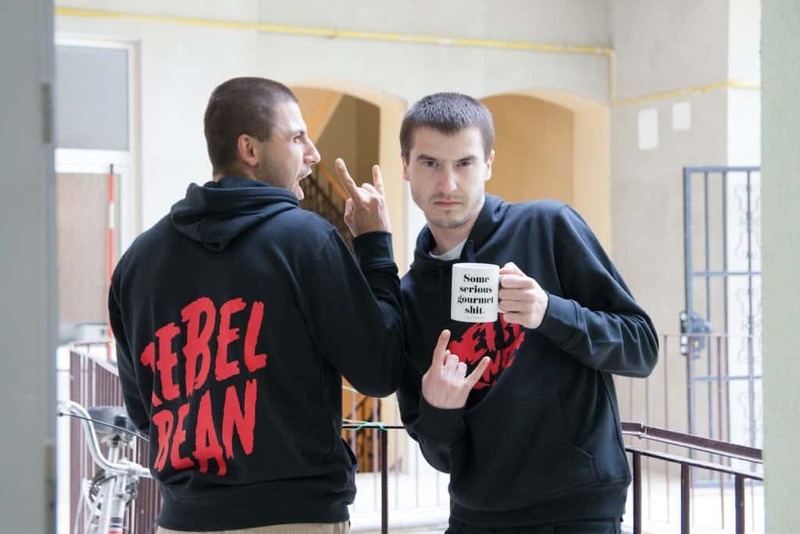 Michal and Jan are the core members of Rebelbean. 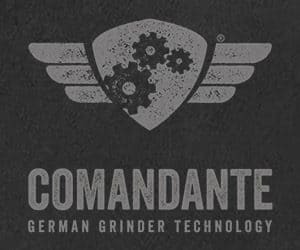 Michal Stec is the founder of the company, joined by Jan Spalek, the roaster. They both started as baristas some years ago, at a school cafeteria. In 2011, they had their first ‘Aha’ moment when they were given the opportunity to taste and work with speciality coffee for the first time. “It was really new stuff here in Brno. 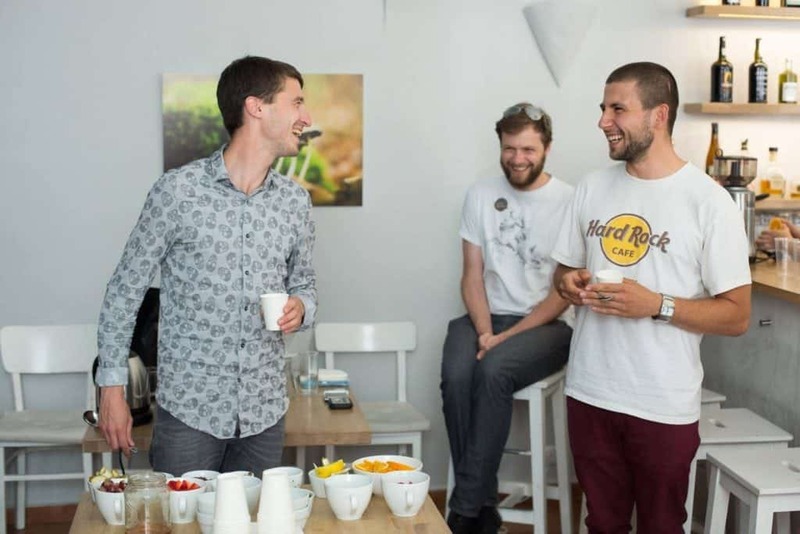 It was mindblowing and we wanted more!” told us Michal and Jan.
For more than a year, it was just the two of them, eventually growing the team with Brew Bike project. Serving exclusively filter coffee then, they gathered a team which helped them to grow their business. Since the times of Brew Bike, their team members stuck with them and are now part of the passionate and hard-working team at Rebelbean. 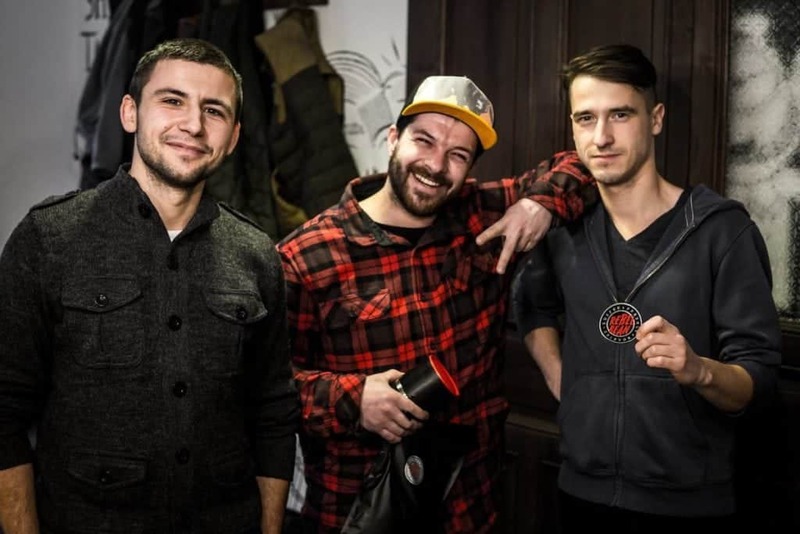 Their current cafe activities are done in a cooperation with The Local Barber Shop in Brno. Thanks to the latter they have been able to move forward with their roasting business. Michal and Jan are rebels at heart. Their rebelism translates into their approach to entrepreneurship as well. It is all about having fun, being creative and pushing the limits. Rebelism is also behind the name of their brand. 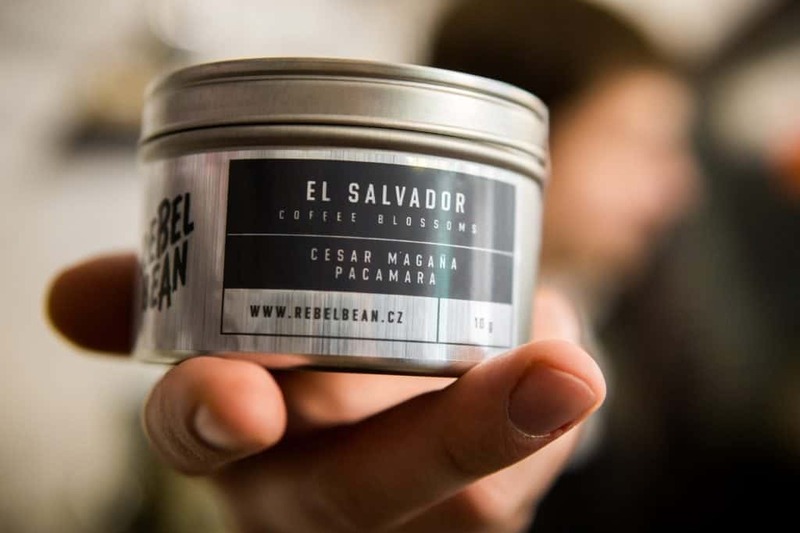 Rebelbean are not the coffee snobs of the third wave of speciality coffee either. “We are not preachers. 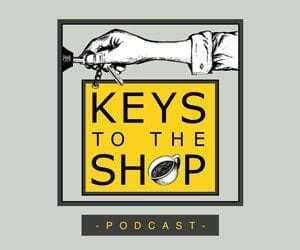 We take coffee seriously, but there is more to it than TDS numbers.” Additionally, they are inspired by many diverse people, who are mostly not connected to the coffee world at all. They are open to new ideas and perspectives. “Of course we have heroes in our industry, but the best inspiration always comes from the outside,” added Michal. So what is it that makes them motivated to always work hard? 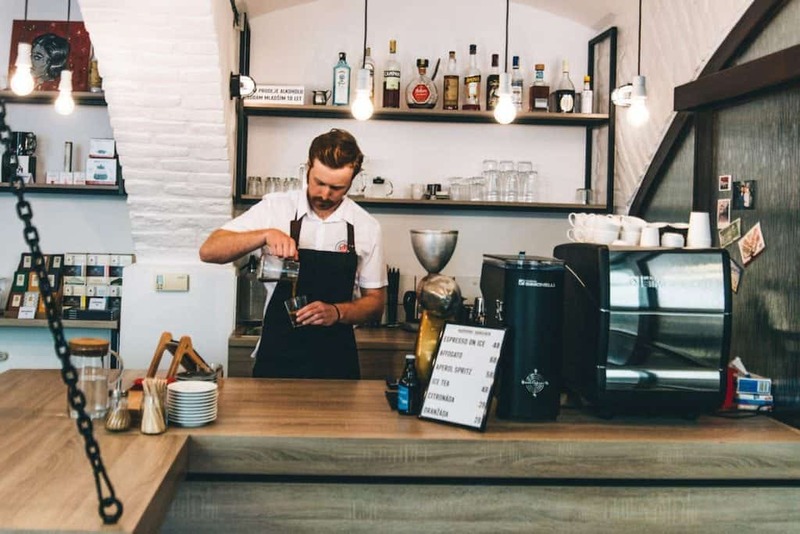 Rebelbean is focused on a growing quality of their product and creating an added value to the relationship with the great number of people that have believed in them so far. Since the beginning, when Rebelbean was starting as a low budget garage project, simplicity was one of their core values. Their packaging and branding are done in a simple, modest way. Mainly because in the beginning, there was only one coffee on offer at a time. The logo is minimalistic and clean, with all the important info to be found on their website. Rebelbean chose to go the low-budget way because they wanted to manage it without any investors getting involved with their business. And how did they do it? 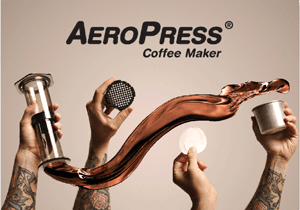 First, they outsourced the roasting and during this time developed the brand and a customer base. Luckily, the concept proved and they got finances to build their own space. Thanks to keeping things simple, they got to showcase their brand more, building the company around the lifestyle, rather than just the product itself. They are involved with a number of events, sponsor inspirational people and throw parties. 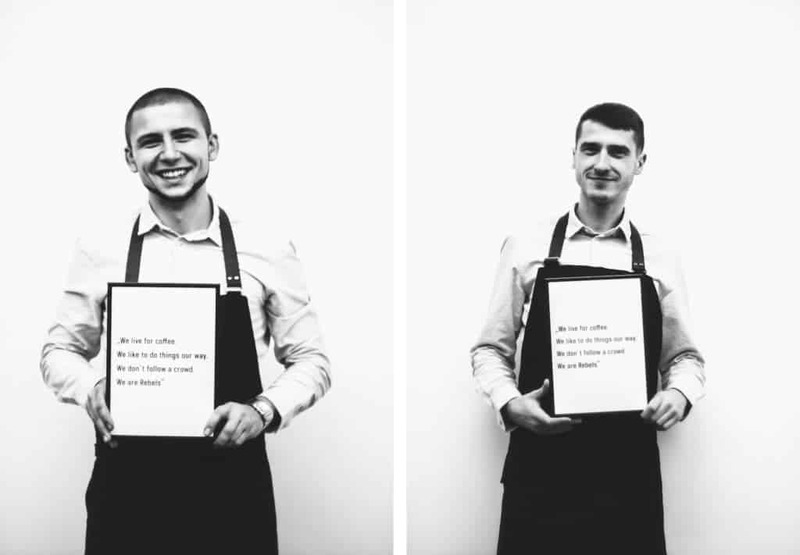 “Speciality coffee is our common language,” explained Michal. Rebelbean has been around for 3 years already. It is not until now that the team has moved to a bigger and better-suited place for their roasting. They are definitely arriving at a new stage in their business. “We just fired up the Giesen W15A which was our first choice. A big change comparing to the 2kg fluid bed roaster we had until now. We believe that our profiles will be even more on spot now. We also got a 500g Huky for sampling and limited editions. On our bar, you can find a Nuova Simonelli Aurelia T3 machine and a Mythos One grinder. With water, we trust BWT Reverse Osmosis. 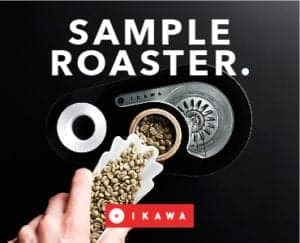 We would like to build a lab, later on, so we can focus even more on the beans, roast and brew quality,” described their equipment Jan.
Michal and Jan aim to interact with the lifestyle of their customers more in the upcoming years. Their plan is to do more for their fans and customers. The vision is to create places around the world, where every Rebel would feel like home. Starting with small steps—events, cooperations with their ambassadors such as photographer Jara Sijka and last but not least launching of a clothing brand! 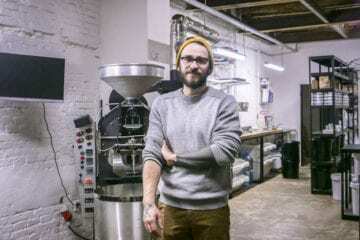 Their customers are Rebelbean’s biggest inspiration. They are usually the ones coming with amazing concepts and original approaches to coffee. Rebelbean then gives them advice, help, and support. For Michal and Jan, it is very rewarding to see their customers grow. As the demand for Rebelbean’s product grows, so does the need for green beans supply. At the moment, Rebelbean buys greens from three main partners: Falcon Specialty, Panama Varietals and Santa Cristina Specialty Coffees. 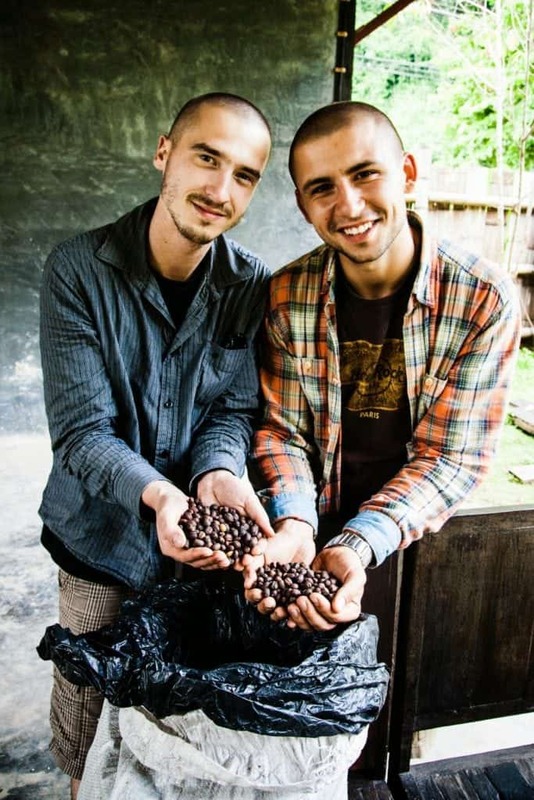 “They provide us with great green beans, they are here to answer all our questions and all of them are great guys to spend time with!” told us Jan.
Do they still remember the coffee that will always be special for them? “No doubt, it was our first coffee. 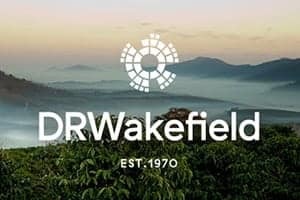 Colombia Huila sourced by Cafe Imports. A lot of memories involved”, told us Michal and Jan. It is not only about coffee with Rebelbean, though. 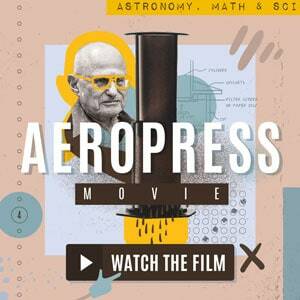 They have been exploring by-products of coffee, such as Cascara, or the coffee cherry, which they use in their energy bars. They also develop beers and chocolate with their partners. 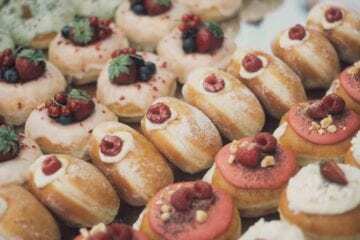 Hopefully, these trials won’t be shut down considering the hot situation in the EU, talking about the legal side of Cascara as an edible product. 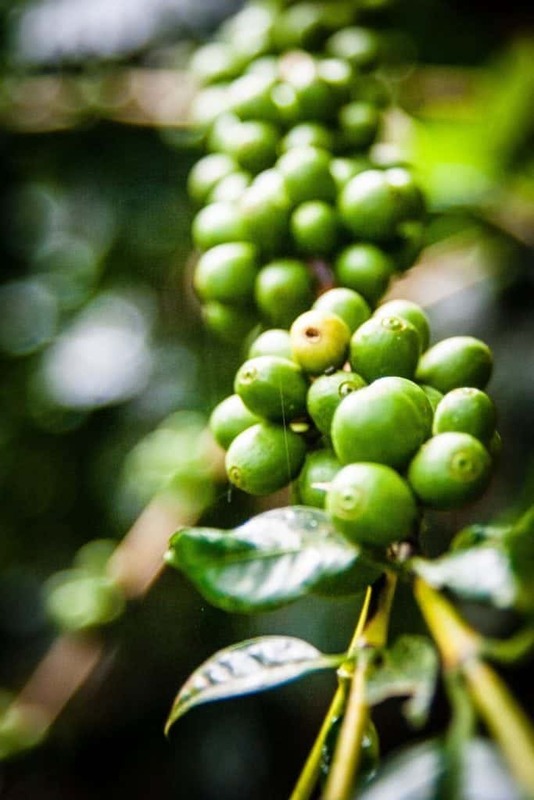 Another coffee-tree product you can get from Rebelbean is coffee blossoms from El Salvador. An interesting product, mostly for tea lovers. 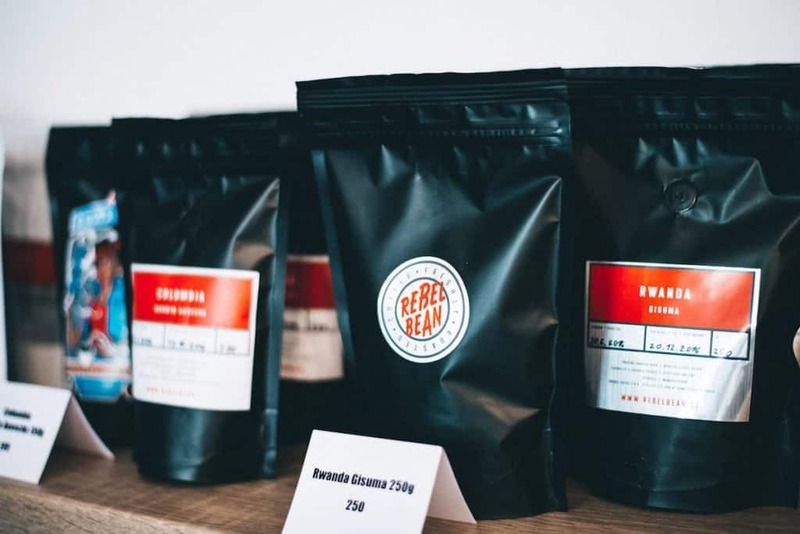 “We are not strongly focused on coffee, we believe there is more to offer,” added Michal and Jan.
To end with an optimistic view of the industry, Rebelbean believes that the snobby phase of coffee is over and the exciting times are ahead. “Capsules, instant coffee, single serve, cans. So many opportunities to show the great world of speciality coffee!” All of that and more is what the guys at Rebelbean find exciting. 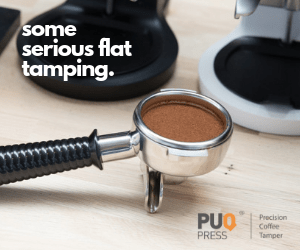 Are you tempted to try Rebelbean’s coffee? Do you feel like a rebel and want to serve their beans at your cafe? Sure get in touch with Michal and Jan, the Rebelbean team is ready to share any necessary info that you need to know about their coffees.